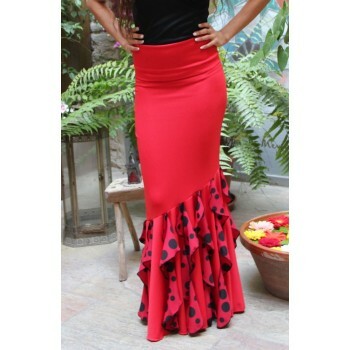 Red flamenco dance skirt with polka dot ruffles. 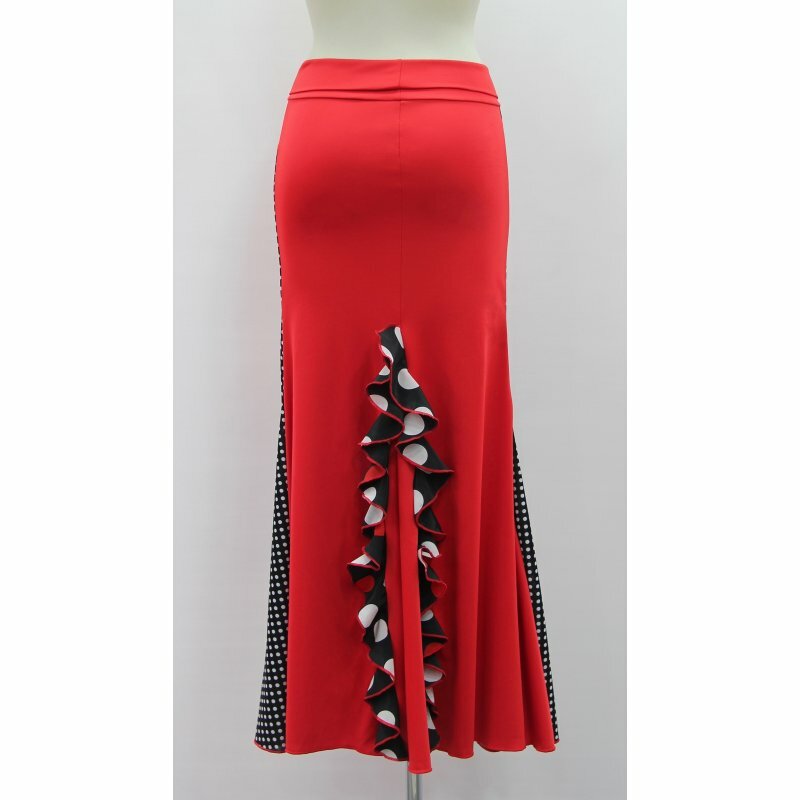 Skirt set with red flight, 5 blades in front center with 3 ruffles in different polka dots, godet in red back with ruffle around the godet in polka dots. Brush of 12 centimeters red.